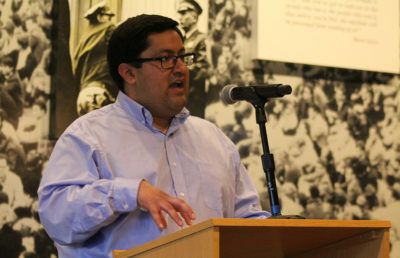 In the face of a growing alt-right presence in Berkeley, Mayor Jesse Arreguín said in a press release Tuesday that his office is attempting to stop a planned alt-right rally from taking place later this month. 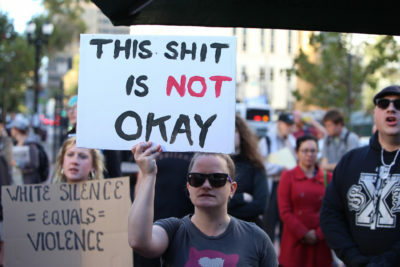 The rally, called No Marxism in America on the Facebook event page, is intended to “speak out and expose” the nation’s shift from a free country to a communist society. On the page, the event organizers said they “are asking people to come stand against Marxism” on Aug. 27. According to Arreguín, the event was organized online and the city has not approved the gathering — no organizer has tried to obtain a permit nor has one been granted. This rally comes after hundreds marched in Oakland on Saturday and Sunday in response to the white supremacist protests in Charlottesville, Virginia, that took place that weekend. Cat Brooks, co-founder of the Anti Police-Terror Project that organized Sunday’s protest, said at the protest that people were also protesting the impending Aug. 27 alt-right rally. “Of course we’re here to stand in solidarity with Charlottesville, but also as a signal to the white supremacy neo-Nazis that are planning to be here on the 26th and 27th that they can expect resistance,” Brooks said at the protest. Prominent white nationalist Richard Spencer and Identity Evrope founder Nathan Damigo are both planning on attending the Aug. 27 protest, according to the Mercury News. The event is scheduled to take place at Martin Luther King Jr. Civic Center Park, where several alt-right marches occurred last spring, including one that was led by Damigo on April 15. Damigo, who allegedly assaulted a woman at the April 15 rally, was also a key figure in the Charlottesville protests. 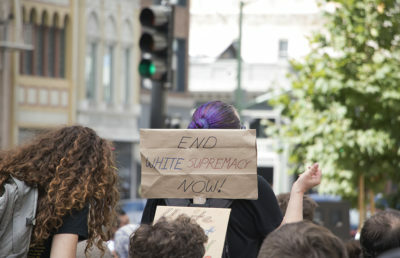 In his statement, Arreguín advised Berkeley residents to avoid the Civic Center Park area Aug. 27, adding that “the best way to silence the white nationalists is by turning your back on their message.” He emphasized that people who come to Berkeley to participate in violence will be arrested and prosecuted.